Just leave a comment under this blog post if you are interest in entering the drawing. I am sorry, but due to shipping cost, this candy is only available people living in the States (really sorry, but $17 in shipping internationally is a bit steep). I will pick a winner with the help of random.org on Thursday. Great prize package, please enter me. Thank you. Lovin that your having blog candy! I’m always inspired by your creations. Thank you for sharing your talent! Wow! this is great prizes… love your cards, and tutorials too thanks for the opportunity. This is an AWESOME! I think it’s quite more than just a “bit” of candy! Thanks for the generous giveaway miss Beate! Beate…you are a generous soul. What a beautiful giveaway. Thanks for giving us the chance to win! Thanks, Beate, for the opportunity to enter your blog candy giveaway! Great variety of super items! I have been a faithful daily reader of your blog for several years, now, and continue to be impressed and inspired. Thank you! Thanks Beate for all you do for us stampers. Love your work. Great blog candy. It should be called blog supper. An awesome prize. Thanks again! Wow, that is amazing blog candy. I just love your video tutorials…thanks so much! Great blog candy! I would so love to win! Thanks for the chance! Yummy candy with no extra calories … thanks for the chance to win. Great giveaway. Thanks as always for sharing. I check your blog everyday and LOVE all your inspirations! Thanks for the chance to win these wonderful goodies! Thanks for a chance to win a fantastic candy-Thanks for a chance to win. You blog link comes to me daily in e-mail and I always am so inspired by your work- your colors are fabulous! Thanks for all you do! You always have the best blog candy, along with the great eye candy. Your blog can’t be missed. It is an all around treat. Thanks! Awesome package. Please enter me for a chance to win. Thank you! Awesome candy! I love your designs. I look forward to seeing them each day. You’re awesome! Thanks for the chance to win this prize package. Thanks for the chance to win some goodies. Your cards are such an inspiration. Love them all! Wow! What wonderful blog candy you are offering. Thanks for the chance to win it. I’ll be keeping my fingers crossed. Thanks for all your wonderful posts, even if I don’t always comment, know that I am reading/watching. Always love your work you are such an inspiration!!!! thanks for the chance to win!!! Wow! Thank you for the chance at this. It really is sweet of you to give. Thanks so much for the chance to win these wonderful items. They all look like so much fun to play with. I just love all that you do. It’s so wonderful how you teach us how to do things. Please enter me to win this fabulous candy! Thanks for the inspiration you always provide. Wonderful blog candy, Beate! Thanks! Love what you’ve done with that cute little Whimsey guy just “hangin’ around”! The new Spellbinders look fantastic! Can’t wait to see the rest of them. Beate, You always inspire me! Thanks for this chance. Love your work. Thanks for the candy and the chance of winning. Lovely collection, Beate! Thanks for the offering! Thanks for the prize giveaway! Also, thanks for all of the gorgeous creations and great tutorials. WOW!!! This is one awesome blog candy. Thanks for a chance to win. I LOVE your blog. Your artwork is amazing. Thank you for this opportunity; it is very generous and your work is gorgeous. Awesome candy! I would love to be entered! Thanks for a chance to win such great goodies 🙂 Love coming to visit! You are the best! I have learned so much from your tutorials. Thanks for the chance to win. So fun! Thanks for the chance. What a wonderful giveaway! Thank you for this opportunity, Beate! Great blog candy! Wow, what a wonderful prize for someone! You’re so sweet to offer this fabulous candy! Thank you for the chance to win. hello, thanks for the chance to win blog candy. look forward to your posts every day. they are so cute. Hi Beate, I sure would like to play with those goodies. Thanks for the giveaway. what a great bunch of stuff for a drawing. thanks for the chance to win. This is sweet candy indeed! Please sign me up! Thanks so much for the chance to win!! Hugs to you………..
Love the little bit of candy! Ü Hope I’m lucky!! wow awesome candy!! love love!! What a terrific collection for one lucky stamper! Thanks for offering this, Beate. You’re the best! I love your ideas and so glad to see you offer so much candy! Pick me! I am in need of some candy! OH this is soooo awesome and generous! I never heard of the craft lounge, but those are lovely stamps! Burt’s BBQ is actually on my wishlist. I definitely do not have spellbinder tags, and that paper looks so yummy!! I have spent all of spring either sick myself or dealing with other family issues (my mom is dying –either her heart or breast CA will get her, we just found out about the CA…she had a lump and did NOTHING for 2 years. The doc says out of the 15 different Breast CA’s she has one of the less aggressive ones, but it still is scary as the lump she feels (and is actually noticable under the skin) is only the tip of the iceberg…it is way up high, but if they remove it she will actually loose 1/4- 1/3 of breast tissue. They would do nothing else. (she’s 85) She doesn’t want it removed…she said no more surgeries. I have made my thoughts known to her,, but it is her body, so I just have to support her decision. Then last Friday my hubs was admitted to the hospital thru the ER, he was SEPTIC, now that is under control, but they noticed he has a really bad contracture in his one foot…so now he is in rehab, and will most likely be there for a week. I have done more walking and driving in the past week than I have done in 6 months, and My knee and back are sooo paying for it. This candy would sure be a picker-upper! I wish everyone good luck, but I really hope I win. LOL! 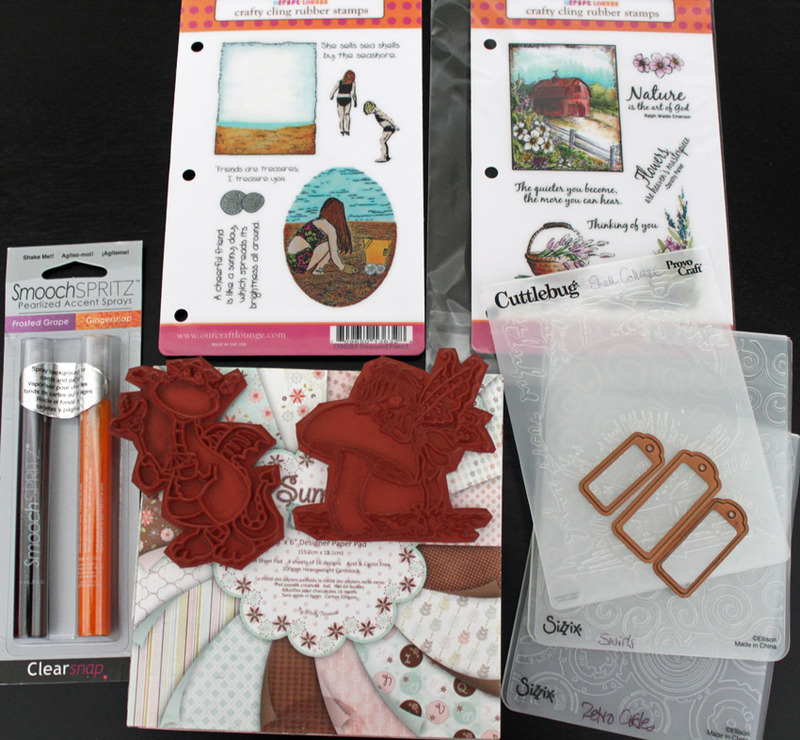 what i am eyeing most here is that paper pack and the embossing folders! I have never worked with smooch so really don’t know what thats like. If I win (crossing fingers and toes), I do have a US address. Thanks for a chance to win some candy! Have a good day! Would love to win this awesome prize! Great candy and would love to win it! Love your work and tutorials!! I would love to win this blog candy. Just noticed that you are in Edmond. I’m in Norman–welcome to the area. I met you years ago at a regional mtg for SU in San Antonio when you and Jenn were just getting going on splitcoast. (Absolutely no reason why you would remember me; I just like knowing that you are here in OK.) Thank you for all you have willing shared to so many over the years. Love your work, your instructions are so easy to follow. Awesome prize package, would love to be a winner! Thanks for the chance to win some candy! 🙂 What girl doesn’t need more candy? Ooh, what a nice selection in your blog candy give-away. Thanks for another great opportunity to win some spectacular stamping goodies. Always look forward to your posts because I know they’re always inspiring. Thanks for your wonderful tutorials and for sharing your creativity with us. Wonderful blog candy….thanks for sharing. So glad I found this site! Your tutorials and work are wonderful. A chance to win the blog candy is an additional treat. Love your blog and all the inspiration you give. Thanks for the chance to win great blog candy. What fun it would be to play with some new toys~ Thanks for the opportunity to win the candy, much appreciated!! I would some blog candy! Woohoo! Thanks for the chance! Neat giveaway – I enter just for fun cause rand org dont seem to like me but I check out what you have in store for us on a daily basis. Your beyond crafty!!! You are always so generous Beate! Thank you for the chance to win! Thanks for offering this GREAT prize package! I really love Spellbinder products and would love to have those retired tags. Awesombe blog candy. I would love to win it. Thanks for all the inspiration you share on your blog. I’m always up for a little bit of candy! Thanks for another chance to win. Thanks again for all the videos – they are all so very helpful and much appreciated. Woohoo, lots of product to try…..I would love to win! Thanks for sharing your stash….. Thank you so much for the opportunity to win the blog candy. Thank you too for all your wonderful inspiration and helpful videos. I have learned so much from you. Wow, thanks so much for the chance to win such awesome candy! Great prize package. Thanks for a chance to win. I’ve appreciated learning how to make shape cards from you! This would have been awesome candy to win, but since I am in Canada, I am disappointed I am unable to participate. It’s totally understandable with the shipping. Thanks for a chance to win. Winning is nice, isn’t it? Fun stuff! Thanks for the chance to win. That little beach girl is so cute! Thanks for the chance! Awesome, pawsom! Thank you for another chance to win some great crafting items. WOW! Thanks for the opportunity to win and also for sharing your talent!! Wow! I almost missed this chance – life gets in the way sometimes and one gets more behind the faster they go! That’s me lately! I normally check your blog first thing every morning to see what new creations you have made but missed yesterday! You know that I love your videos and so when one of them is included in your post I am happy! Anyway, thank you for this chance to win this great candy! Wishing you a happy Monday! what a fun collection of goodies! thanks for the chance! Mmmmmmmmmmmm! Love candy. Thanks for chance to win the contest. Great candy! Thanks for the chance to win!! Hi Beate! Thank you for the chance to win. Hi! Thanks for the opportunity to enter to win this awesome candy morsel. Keep on keeping on the reat job you do. WOW! The candy looks Yummy! Thank you for an opportunity for the change to get my hands on CANDY! How nice of you to offer some blog candy, Beate. Thank you for this generosity and for your wonderful blog. I have learned so much from you! You are so generous, love your videos also. What great candy. Thanks for a chance to win! Thanks for the chance to win and for all your great ideas you share! How kind of you:) I’m in Florida and it has done nothing but rain for 24 hours, and several days more are in the forecast. A candy offer/possibility brightens my day! would love to win the nice selection of blog candy. i so appreciate all of the videos and ideas that you share with us. Too funny…. I stop by for some eye candy (my mojo needs a pick me up) and find you being generous to a fault! Thanks for a chance to win such yumminess! Now I must go be inspired! Huggs! Thanks for the chance to win some goodies. Have a great week. Thanks for a chance to win, new stuff is always fun to play with! What lovely stamps! Great give away. I almost feel guilty about commenting. I come buy almost everyday, but don’t always comment. Not enough hours in the day to do all this computer stuff, crafting and taking care of my mom. Then if there’s time left I clean the house. As you can see, crafting and comp. stuff is first! lol Thanks for sharing, and good luck everyone! Ohhhhhhhhhhhh that’s some fabulous blog candy!! Thank you for the chance Beate! Thank you for the chance to win such a neat package of goodies! Blessings to you! Wow! I am learning so much from your tutorials….plus a chance to win blog candy too! Wow! Thank you! What a wonderful opportunity. Such a fabulous set of goodies. I could make some awsome cards with them. Thank you. Thank you for such awesome ideas and tutorials. Thanks also for the chance to win such a generous giveway. Beate, everything you do is first class. This is a super give-a-way, thanks for sharing your goodies, your talent, and especially your tutorials. Awesome Candy! !…Thank you for the opportunity to win!! Always inspired by your beautiful creations! Thanks for the opportunity to win! Always look forward to seeing what you have created everyday, as your cards are always so exquisite! Thanks for the opportunity to win some awesome candy! Love you cards. Thanks for the chance to win. I enjoy all that you share. Your creativity and designs are some of my favorites. That’s you for sharing your creativity! Beate, you are so generous! Thanks for a chance to win! FANTASTIC blog candy!! Please enter me! Thank you for your generosity! I love your blog and visit it everyday for inspiration!! Thanks for this opportunity to get blog candy!! Wow how sweet! I would love to get my hands on these goodies. Thanks for a chance to win. I love your blog. I always learn so much. I think it is great that you are offering a “candy” giveaway. Hope I win! Oh Wow look at all the goodies, a few things are on my wish list 🙂 Thanks for the chance to win! I always get so much inspiration from your posts. I truly appreciate your awesome talent! Thank you for the chance to win this GREAT blog candy. But most of all, thank you for all your videos and tutorials. ALL your cards are so lovely. You are very talented and an inspiration. As a fairly new stamper, I have learned so much from you. I am so glad that I found your blog. I really enjoy getting my e-mails from you. I feel blessed. Thanks Beate for all your inspirational videos and projects. I appreciate you giving a chance to win this great candy. What a wonderful candy prize. Would love the chance to win it. Thanks for always sharing your ideas. Lots of inspiration. Edna B. Please include me! I’d love to win your wonderful prize. Hope you have a great week! Love your blog. Your designs & ideas are very inspiring! What great blog candy – thanks for the chance to win. Hi Beate, great candy, I live in Victoria, BC and I’d be willing to pay for the postage on this candy. Thanks for a chance at the lovely candy! You’re an inspiration! Yes, I’d like to enter your drawing. Thanks! Love all your projects and cards. Thanks for a chance to win the blog candy. I have been following your blog for years now and you never cease to amaze me with your creations. Thank you for the chance to win the blog candy! Thanks for the chance to win. I love visiting your blog each day, keep up the beautiful projects. Wow! Fabby candy!!! Thank you for the chance to win! I live in Italy, but have an AMERICAN mailing address (military). *fingers crossed* HOOAH!!!! How awesome! Thank you Beate – you are a great inspiration to me. Awesome Blog I am a faithful follower, thanks for the candy! I would love the chance to win Candy….everything is awsome! Beate, I love your cards and your video’s! I soooo look forward to your inspiration! And thank you for a chance to win some candy!!! Thank you for the chance to win this blog candy. Your cards are always so beautiful and intricate looking. I appreciate your tutorials as well. Thank you for the giveaway, and even more thanks for your wonderful sharing of all things beautiful! Your candy is always the best. Please enter me to win. Thanks for all you do. Your creativity amazes me. Thanks for the candy! I have a sweet tooth. really thank you for all your creative inspiration. when I get stuck I go to your blog. it never fails. Beate, what wonderful candy, and it is not fattening!!! Love it, and Thursday is my Birthday, what a present that would be!!! Thanks for the chance ! Your blog was the first one I added to my favorites a few years ago. I love all your ideas and color selections. The Blog Candy is just a great treat!! Thank you for posting beautiful projects! Yum! I love your “candy”! Please enter me in the drawing!! Wow! What a nice collection of “candy.” I would love to have it sweeten my day and spark some creativity. Thanks for the opportunity and the wonderful ideas you share. Beate – You are so sweet to have such great give-aways! Thank you for giving all of us a chance to win. When I began papercrafting a few years ago, your tutorials made a huge impression on me & always look forward to checking in to see your latest creations. Thanks for sharing with all of us. Thanks for the generosity Beate. This looks like so much fun and spy with my little eye Spellbinders dies. Glad I found your blog. Oh, all of this is just wonderful! Thanks so much for your giveaway Beate…I always love your gorgeous projects and the blog candy is icing on the cake!! Thanks for the chance to win this yummy candy Beate! Looks like lots of fun! Thanks for the chance to win great toys. Would love to add them to my play room. This candy is very sweet. You offer items that will make beautiful art. Thank you! Wow. Great prize package. Thanks for the chance to win. Fabulous blog candy. Thanks for a chance to win. Love all the inspiration you show every day. Your cards are wonderful. Wow, this is a awesome candy, thanks for a chance to win, love your cards and tutorials. You are so generous with us Beate! Thank you for a chance to win. I love all the inspiration you provide us with! What a great candy giveaway! Thank you so much for a chance to win! What a wonderful, generous candy! Now if I could only have you mail me some of your talent! Thanks for the chance to win. I really enjoy being inspired by your projects. I really enjoy your card posts, tutorials, and blog candy giveaways! Sure hope I’m the winner! 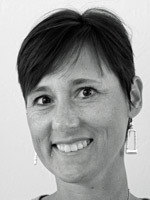 Thrilled to have a chance at this blog candy, Beate!!! Thanks!! Thank you for the opportunity to win. I love your blog! I love you creations, & inspiration, Thank you for the chance to win. Thank you so much for the opportunity to win such a great prize. Please enter my name into the draw. I can always expect a wonderful idea for my card making when I come to your blog. I’m a huge fan of your video tutorials. Thanks for the chance to win some great “candy”. I really appreciate how generously you share your ideas and tutorials. Thanks for the chance to win some lovely candy! What a sweet prize! I would love to win this thank you for the opportunity! Love your work, you are very talented! Wow, it is sweet, I love candies, thanks for the chance to win. What a great prize package! Thanks for the chance to win it. Wow! What a spectacular array of goodies! Love them all. Enter me in the drawing! Thanks so much for the chance to win such a wonderful assortment of candies! Wow! A little bit of everything in this candy package! Thanks for the generous giveaway! ~Hugs! Wow! That’s some great looking eye candy! Thanks for sharing so much! What fun candy! Would love the opportunity to win this. Love all that you create. Thank you. Wow, what a great prize! Thanks for the chance to win. I always LOVE your cards, Beate! Such talent! Thanks so much for the chance to win a beautiful prize love your card(s) and tutorials that you have on youtube and always have the heart to answer any question(s) on splitcoaststampers you are truely a blessing I often find myself on here then listening to the news it bring joy to me and I know other as well have a bless day. Love your card style. Thanks for sharing your knowledge and expertise! So sweet of you to offer some yummy delish candy! Thanks a bunch! What a great package you have put together- Love your blog! Thnak you Beate! I am just recently finding your blog. I am really enjoying it. Thanks a bunch. I would love to win your fabulous gift. Who wouldn’t love a chance at your blog candy!!!!! Please enter me, and thank you for your generosity, not just with products, but with all the inspiration you provide! Beate, you are incredibly talented. I love your artwork and would be thrilled to win your blog candy. Hope you have a great rest of the week! Beate, this is a fabulous candy prize…thanks for sharing with us. I’ve been following your videos for a while, they’re great and you have a very pleasing voice. This would be wonderful candy to win. Wish me luck. Great Candy! Thanks for a chance to win. Wow, awesome candy. Thanks for the chance to win. Love your blog and tutorials.